Sunday night ‘Team Pumped’ had our meet and greet. Kate made us some cool diaries to keep track of all the information we need. I thought a really awesome idea she added in this year was making us write down all our goals every week – keeping them fresh in our minds will only help us smash them!! 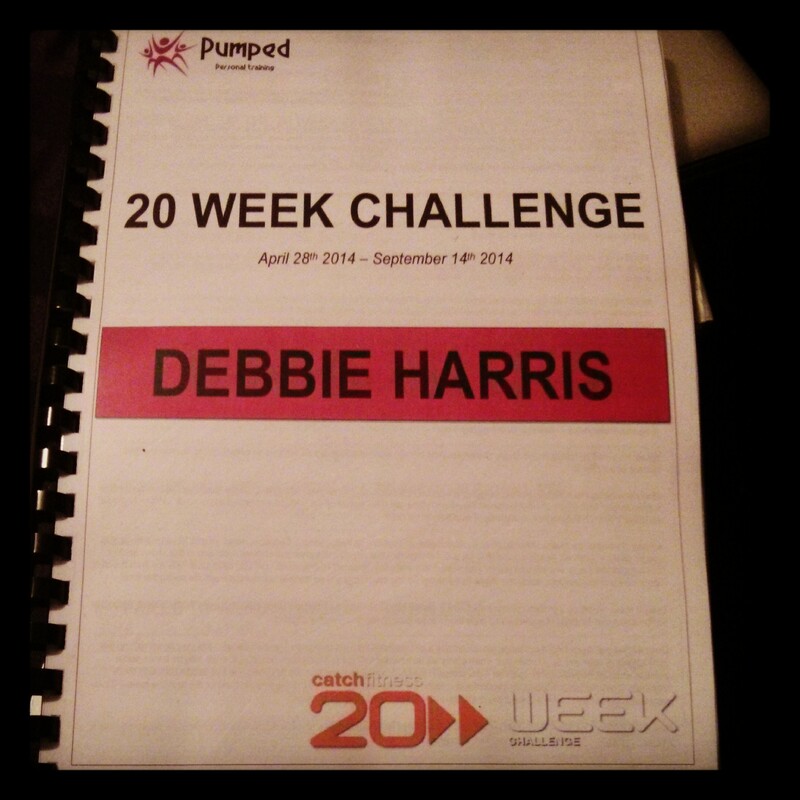 It was really fantastic to see a whole heap of people who are new to the 20 Week Challenge, there are a few I hadn’t met before and that means lots of people to get to know during the challenge! Holy moly that list looks scary. Let’s say I like to jump into things?? After work I had my first spin class of the challenge, it was also the first one I’ve been to without a buddy – sometimes that in itself is a big thing for me. The instructor mentioned there were quite a few new people and part way through the class he made comments about how all the newbies had to be there for all his classes for at least 4 weeks. I had a laugh when he said he takes Monday evenings and Thursday mornings because those are the two classes I will be attending every week. It’s a sign from Broni I’m sure of it! It was one of those mornings for me where you wake up and have this slight feeling you may get sick (Not at the start of the challenge ARGH!). So I popped some cold be gone immunity vitamins and got ready for pre-testing with Kate. Having that feeling in the back of my mind made me struggle a bit with pre-testing but I still did run my fastest 1km to date so pretty happy with that! I had a massage booked after work to sort any niggles out in time for St Clair – it was awesome! Finished the evening up with some more reps so I can tick them off my weekly amount BAM! The cool thing about last year’s testing was I didn’t actually see the before & after pictures until awards night. When you see yourself daily in a mirror sometimes it’s harder to see how far you have actually come during the 20 weeks. Those photos last year proved to me how far I had come because for awhile I was feeling like I hadn’t changed, I knew the size of my clothes had gone down and people kept commenting on how good I was looking but part of me still saw the ‘old me’ every time I looked in the mirror. Taking photos today reminded me about this and it make me super excited to see what changes I can make during this year’s challenge! How do you feel when you first notice a difference in how you look? For fellow 20 Weeker’s – how did you find your first couple of days?